* Updated to the latest OpenXLive and fixed a couple of bugs. You are walking on the beautiful beach, with lots of beautiful shells. Go collect them and see how good you are! 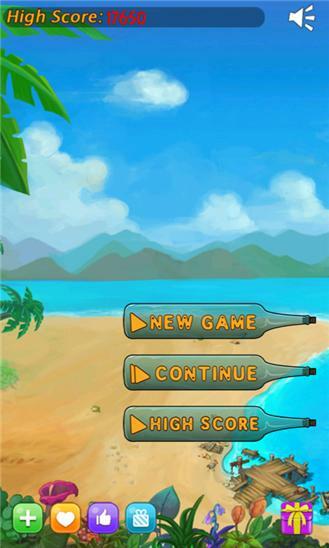 ★ The most popular classic game is coming back with all new experiences & design: ✓ New Block Role - 5 Styles of Shell. ✓ New UI with Perfect Arts. ✓ New Gears Designed for the Incredible Record. ✓ New Original Music & SFX make you enjoy all the time. ✓ OpenXLive Supported. ★ How to Play: ✓ Just tap two or more shells of the same color. ✓ There is no time limit, but each stage has target points to proceed to next stage. ✓ Magic-Shells can help you to change the color of shell during playing. 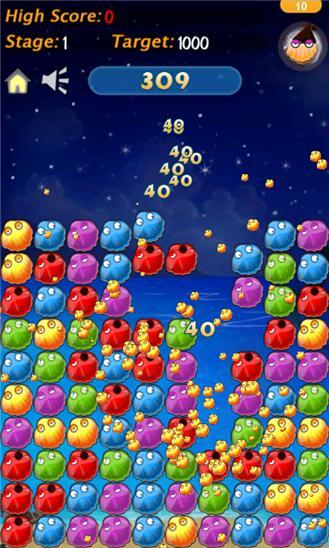 ★ Tips on Scoring: ✓ The more shells you pop, the more score you will get. ✓ Try to clear all shell, you will get a lot of bonus. ----------------------- Example of Rule #1 (Formula: Score = Shells * Shells * 5) 2 Shells = 20 3 Shells = 45 4 Shells = 80 ... 10 Shells = 500 ... 20 Shells = 2000 Example of Rule #2 (Formula: Bonus = 2000 - Shells * Shells * 20) 10 Shells Left = 0 9 Shells Left = 380 8 Shells Left = 720 ... All Shells Cleared = 2000 ----------------------- ★ Features: ✓ Autosave when terminated or get a call. ✓ OpenXLive Support.